Delivering Tax, Municipal, Title Examination and Recording Services in all 62 New York Counties. Abstracters’ Information Service (AIS) covers all 62 New York counties and understands how to support your business objectives in this market. Over 40 years of experience, technical expertise and statewide coverage come together to provide the products and services you need – no matter how unique. At AIS, we are committed to establishing and building strong relationships with our clients. We dedicate ourselves to providing you with innovative solutions that combine our expertise with advanced technology to offer the most accurate and complete information possible. AIS delivers a full range of tax, municipal, title examination and recording services throughout the state of New York. Whether you prefer to have us manage your order from start to finish or favor the ease of our automated tools, AIS can meet your research needs. Our suite of services includes over 100 different offerings, many of which can be completed on a same-day basis. Current and historical land records, images, judgments/liens, tax searches and more are delivered in minutes to your desktop. 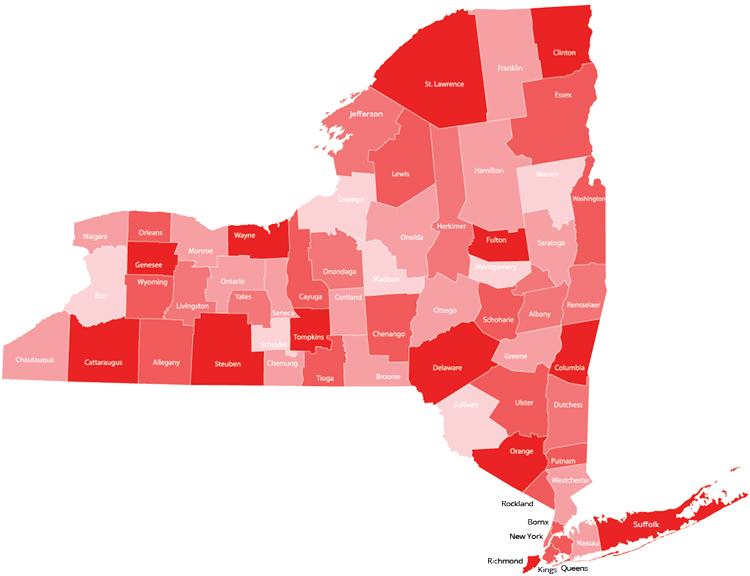 Our suite of services covering the entire State of New York includes more than 50 different products and services which can be completed on a same day basis. Additionally, our online products allow clients access to various NYC databases. At your request, an AIS representative will arrange to meet with you for a personal consultation or you may contact our office for information on opening an account with us. Our commitment to service, efficiency and quality continues as we develop advanced technological solutions to speed processing. AIS is the industry leader - our mission is to provide innovative solutions that serve client's needs. Data Trace Information Services, LLC provides advanced real estate title search technology and support services that enable settlement services companies to quickly access and search hundreds of regional title databases and through a secure standardized interface. Our system is the largest and most innovative of its kind, delivering title history information, property tax assessment and payment data, document images and property profiles in 34 states across the U.S. Every day, thousands of title insurance underwriters nationwide rely on our real estate title insurance solutions to help them open and close more business, and improve customer service.